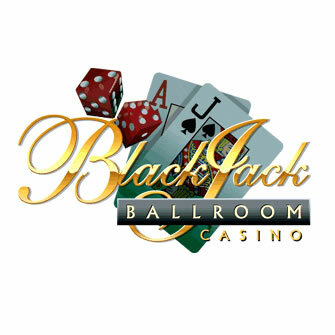 February At Blackjack Ballroom Casino! February is the month of romance with Valentine's Day, but a lot more is happening at Microgaming powered Blackjack Ballroom Casino! Many of you have probably been enjoying all the benefits of the new Casino Rewards Loyalty Program. Following the 'reshuffles' of Status Levels, you may find yourselves promoted to a high Status. If so, start taking advantage of your new benefits straight away – you can find out just what you're entitled to by clicking the 'More Information' link in your Casino Lobby. For Silver Status Level players and above, you've also got access to the exclusive Casino Rewards VIP Slot, which has been paying out well all through January, so see if you can be the first to hit the jackpot! With Avalon II, the classic battle between good and evil is about to take centre stage. This is a spectacular new 243 ways-to-win slot from Microgaming. The artwork in Avalon II is simply breathtaking – beautifully rendered landscapes, characters and 3D animations that create an absorbing atmosphere and contribute to gripping gameplay. Right from the impressive intro movie, you'll be glued to your seats in amazement at what is surely one of the best looking online video slots ever! Avalon II features the Grail Bonus, an epic 8 step quest where you will have the chance to reforge Excalibur, spin the Wheel of Fortune and defeat the Black Knight to recover the Grail. Each round delivers scores of winning opportunities and immerses the player deeper into the mythology of the game, with Bonus Games named Lake of Legend, Misty Vale, Whispering Woods, Forest Falls, Dusky Moors, Morgan's Keep, Hall of Shadows and Isle of Avalon. On top of all this excitement, Avalon II also features Rolling Reels™, Trailing Wilds™, Extra Wilds and Expanding Wilds! Avalon II is available in Blackjack Ballroom Casino. Not exactly a classic tale of love and romance, but at least Georgie's trying his best to impress the ladies in this hilarious 5 reel slot with 15 paylines. Humour plays a big part in the game with the cartoon-style graphics and a pack of breath freshening mints acting as the Scatter symbol! Land 3, 4 or 5 of these symbols to access 15, 20 or 25 free spins, where if you land the Georgie symbol, he'll increase your winnings by a whopping 25x Multiplier! Play Georgie Porgie this month and you will be credited with Double Points. BetVictor Casino Promotions This Week!